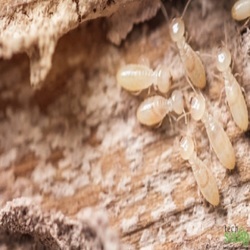 Termites are tiny little destructive pests who are terrible threats to our house and offices. They chew wooden structures, windows, furniture, home foundation, books, and clothes and build their secret way inside them. TechSquadTeam applies best-in-class pesticides that effectively kill the tiny insects. Our trained exterminators render effective pest control services that kill these harmful creatures. Book our most reviewed services now. Call us on 080-46535800.